What's exciting at Madrona Ventures right now, and what's on managing director Matt McIlwain's mind these days? Join us for a Fireside Chat with him to find out. At Madrona, Matt focuses on a range of software-driven companies. He currently serves on the boards of more than 10 companies and was previously on the boards of Isilon Systems (acquired by EMC for $2.4 billion), Farecast (acquired by Microsoft), PayScale (acquired by Warburg Pincus), and more. Outside of Madrona, Matt co-teaches a course on venture capital in the UW's Technology MBA Program and is a board member of the Fred Hutchinson Cancer Research Center, Washington Technology Industry Association (WTIA), and Washington Policy Center. In 2011, he received the Washington Policy Center's Champion of Freedom Award. He was also named to the Forbes Midas List in 2008, 2009 & 2011. We'll have free refreshments on hand as Matt shares with us his experiences and lessons learned leading up to his current role at Madrona as well as what he's excited about as he looks ahead. 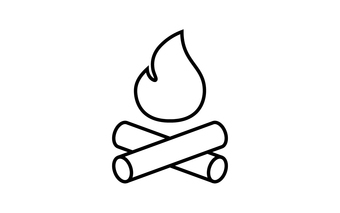 You’re following Fireside Chat with Matt McIlwain, Managing Director at Madrona Venture Group.